Passive Profits is all about generating a legal Passive Residual Income (PRI) by leveraging off various income generating platforms to firstly build up a start-up income by investing a small amount and then using this as start-up capital to invest in your own income generating asset. The main idea here is to move paying your monthly ongoing expenses from active income to paying it from passive income and to maximize your PRI to cover your monthly expenses (and to minimize these). Slowly start using your active income to invest in income generating assets. Most of our opportunities are Bitcoin or Cryptocurrency based, as we believe that you need to secure your passive income and safeguard it against deflation and bank costs. We want to build a passive ongoing or residual income that can continue irrespective of where you locate to and independent of you country’s specific economic or political climate. We believe that you should set aside an amount that you are comfortable with to start building your passive income. You can set aside a once-off amount or build up your passive investment profile monthly from your active income. 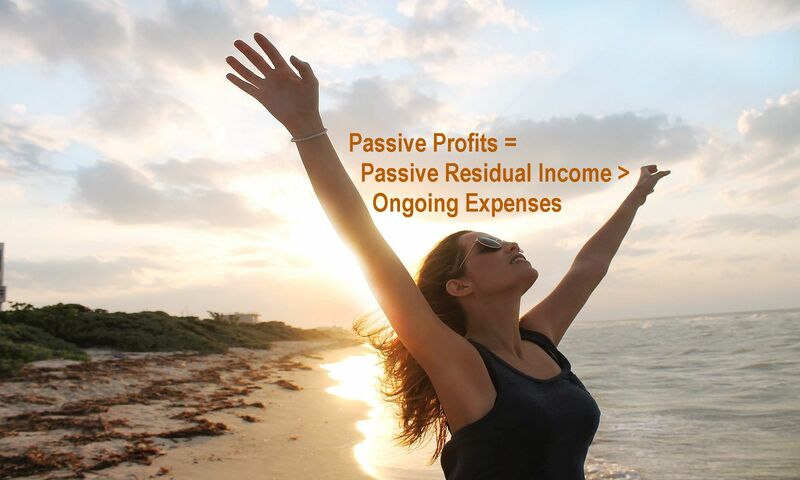 The idea is to move funds from your active income source to your passive income producing asset and then to pay your monthly or ongoing expenses from your passive income source and re-invest to grow your passive income at the same time. You should further diversify into different passive income producing assets to ensure longevity and to spread your risks. Once you have some decent profits save some in gold (see the Save page). Active Income => Passive Income Producing Asset or Investment => pay Ongoing Expenses (draw from your investments to cover your ongoing expenses, but not more than 50% so that you can re-invest and compound your investment). Once you have freed up some of your active income, you can invest more and the draw more from your investment income to pay all your ongoing expenses. The approach is to move paying your ongoing expenses (that you should minimise as far as possible) from you investment income or passive profits and free up more active income to save and invest. If you should then lose your active income, your passive income is set up, as you have created wealth. You can then also retire with peace of mind. You can just invest (even if you have a limited budget) or you can introduce others to get more income to invest. If you just want to invest, you can start by joining any of the programs we list on the Passive page. You can join all programs we promote totally FREE and see what they are about at your own pace. You can re-invest your profits to compound your investment, add funds monthly to grow this or draw some of your profits to pay your ongoing expenses and free up more of your active income to invest. There are no joining fees, monthly fees or any administration fees and you can leverage all your allocated money to earn a passive residual income. If you want to refer others to earn more income to invest passively, you can use the tools provided on the Leads page. See the Passive page for options to get Bitcoin so that you can start with the passive programs.